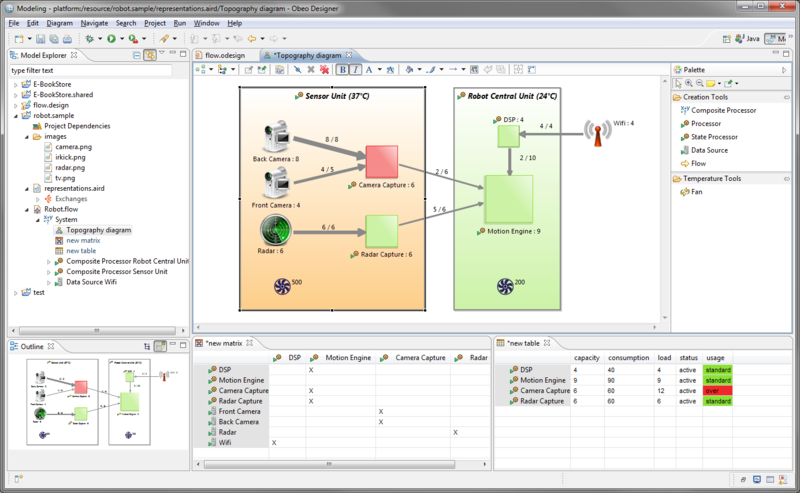 Sirius is an Eclipse project (http://www.eclipse.org/sirius) that allows you to easily create your own graphical modeling tools. It leverages the Eclipse modeling technologies, including EMF for the model management and GMF for the graphical representation. Based on a viewpoint approach, Sirius makes it possible to equip teams who have to deal with complex architectures on specific domains. It is particularly adapted for users that have defined a DSL (Domain Specific Language) and need graphical representations to better elaborate and analyze a system and improve the communication with other team members, partners or customers. By adding the following code below to your website you will be able to add an install button for Sirius. This looks like it could be a great framework on which to build your meta-model. If you've struggled with raw GMF and frameworks that generate "mystery code" take a look at Sirius, as it makes the process of creating your own graphical modelling tools far more accessible.